Range Rover Velar Performance, Engine, Ride, Handling | What Car? Two 3.0-litre V6 engines sit at the top of the range – one petrol, one diesel. If you want maximum performance, the supercharged petrol is the one for you. Shared with the Jaguar F-Type S, this has a substantial 375bhp – enough for a 0-60mph time of just 5.3sec. Helped by four-wheel drive, it certainly launches quickly off the line but, as the speed increases, acceleration tails off compared with a Porsche Macan Turbo. Even so, it’s still quick for such a big, hefty SUV, as long as you don’t mind revving it hard. But if you prefer more effortless performance, we’d recommend the 296bhp 3.0-litre V6 diesel. It may not be as outright fast as the petrol, but it pulls harder from low revs and can still officially manage 0-60mph in a hot hatch-rivalling 6.1sec. 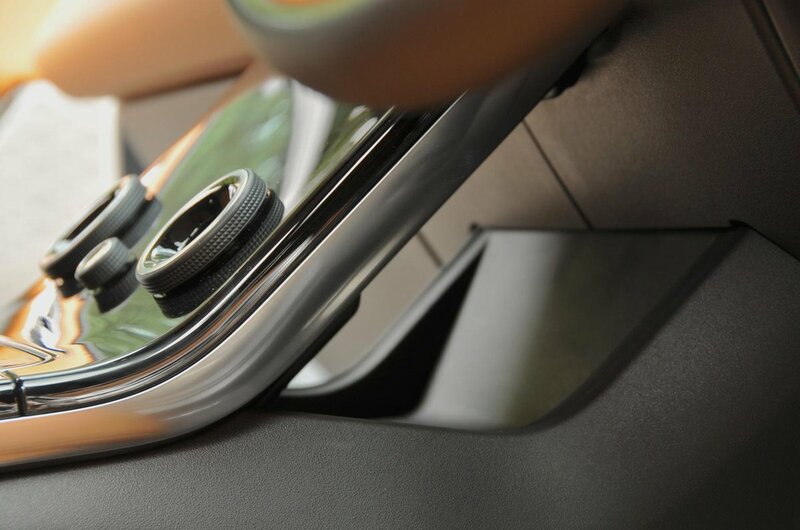 For everyday use, it’s definitely the better fit for the Velar. Joining the V6s are a pair of four-cylinder 2.0-litre diesel engines, with 178bhp or 237bhp. The latter is decently refined for a four-cylinder unit and has a reasonable amount of punch, although it can’t match the six-cylinder diesel on either front. The other problem is that it’s barely any cheaper than the V6 diesel, especially once you factor in the six-cylinder car’s standard air suspension. Still, it might make some sense to company car buyers. Finally, there are two 2.0-litre petrols, with 247bhp or 296bhp. 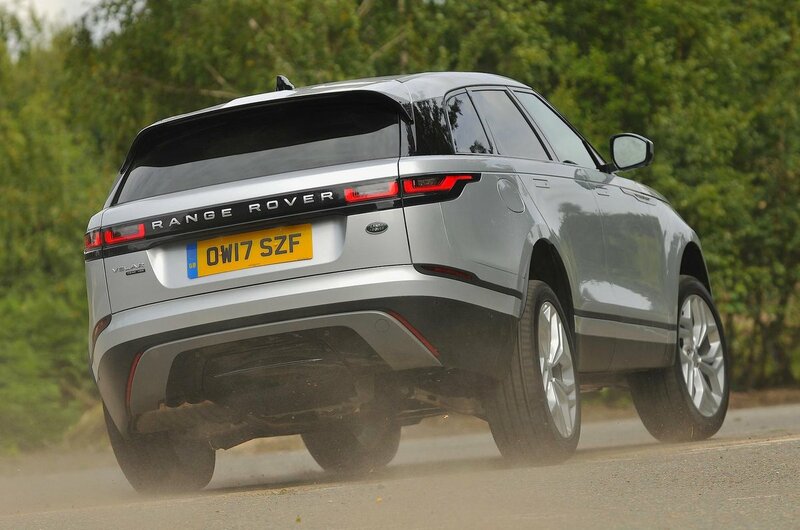 Although the idea of a four-cylinder petrol Range Rover might not appeal, the higher-powered of the two feels pleasingly fast when you put your foot down. That said, it’s worth noting that it needs plenty of revs to feel quick and will shift down a surprising number of gears to hold its speed when pulling up a long hill on a motorway. The 247bhp 2.0-litre petrol – which we have yet to try – has a towing capacity of 2400kg, as does the 178bhp diesel, rising to 2500kg if you choose any of the other engines. One thing we would bear in mind is that, so far, none of the engines we’ve performance tested have matched their claimed figures. Yes, they still feel quick, but we had hoped for more. V6 models have air suspension as standard, allowing you to adapt the Velar to your mood or the terrain you’re facing. Left in Comfort mode, you get a cosseting high-speed ride that deals with crests and compressions in a gentle manner. It may be wafty, but there’s enough body control to stop it from feeling too wallowy. The Velar's biggest 22in wheels option looks great, but doesn’t do the ride any favours; go over a pothole or raised manhole cover and you feel a sharp jolt and a noisy thud from the suspension. Dropping to the 21in wheels improves things, though, bringing a more compliant ride around town. We hope that the 20in or 19in wheels, which come with the lower-spec models, will improve the low-speed ride even further. We’ll let you know once we’ve had experience of them. Switch to Dynamic mode and the suspension is stiffened to improve handling. We’d recommend only selecting this on very smoothly surfaced roads, however. The ride becomes much more jittery, picking up bumps that you wouldn’t even notice in Comfort mode. Four-cylinder models get non-adaptive mechanical suspension as standard that proves softly sprung. 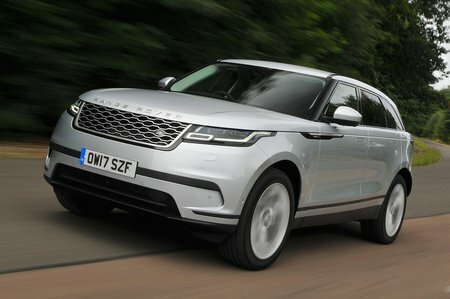 It deals with undulating roads in a gentle manner, but pockmarked surfaces and sharp bumps cause the Velar to fidget somewhat. We hope our test car’s 21in wheels were to blame for this. If you must have big wheels, we’d suggest the optional air suspension is a worthwhile upgrade for four-cylinder models. Range Rovers have never been known for pin-sharp handling or delicate levels of driver feedback, and the Velar doesn't change that. But that’s not to say it handles badly; the steering is a little light but is precise, so it’s easy to place the nose of the car where you want it. With the air suspension that comes as standard on the V6 models, body roll is pronounced in the softer Comfort mode but improves when switched to the firmer Dynamic setting. Whichever mode you choose, the Velar always feels heavy. Try to change direction quickly and there’s a distinct pause as the mass of the car catches up with your steering inputs and its nose turns in. Without the air suspension, the Velar always feels keen to lean over in bends like an air-sprung car in comfort mode. Yes, it is possible to drive it quickly, thanks to plenty of grip, but that slightly ponderous nature means you don’t feel particularly inclined to do so. If you do want a sporty SUV with handling that will put a smile on your face, you’re better off with the Macan. Turn off the blacktop and on to craggier surfaces and the Velar impresses, even on big wheels and road tyres. With the suspension raised and the optional locking rear differential activated, it’ll scrabble up steep rocky slopes with surprising ease, while hill descent control helps you safely down the other side. In this respect, it feels like a true Range Rover. The V6 petrol engine is near-silent at low revs. And as the engine speed increases, it generates a pleasant V6 howl, albeit one overlaid with a whine from the supercharger. The higher-powered four-cylinder petrol (we have yet to try the 247bhp version) is decently smooth and quiet when you’re driving gently. Push it harder and, while the noise isn’t unpleasant, it is more hot hatch than Range Rover. If anything, though, the V6 diesel is even more impressive. Again, it’s very quiet at low engine speeds and transmits next to no vibration through the controls. Then, as the revs rise, it growls pleasantly; in our experience, only the Audi Q7 diesel is smoother. The 237bhp four-cylinder diesel can’t quite match the six-cylinder cars, but it still keeps vibrations to a minimum. There is some clatter when the engine is cold, but once warmed up you won’t really notice the engine a great deal unless you work it really hard. Even so, the 2.0-litre TDI in the Audi Q5 is more refined still. We have yet to try the 178bhp diesel. Helping matters is the eight-speed automatic gearbox – which, left to its own devices, shifts between gears almost imperceptibly. However, it’s not the quickest to respond in manual mode and can be hesitant when pulling away from a standstill. Road noise is pretty well contained, but there is some wind flutter around the big door mirrors.